How to check and verify whether the aranmula kannadi is original? 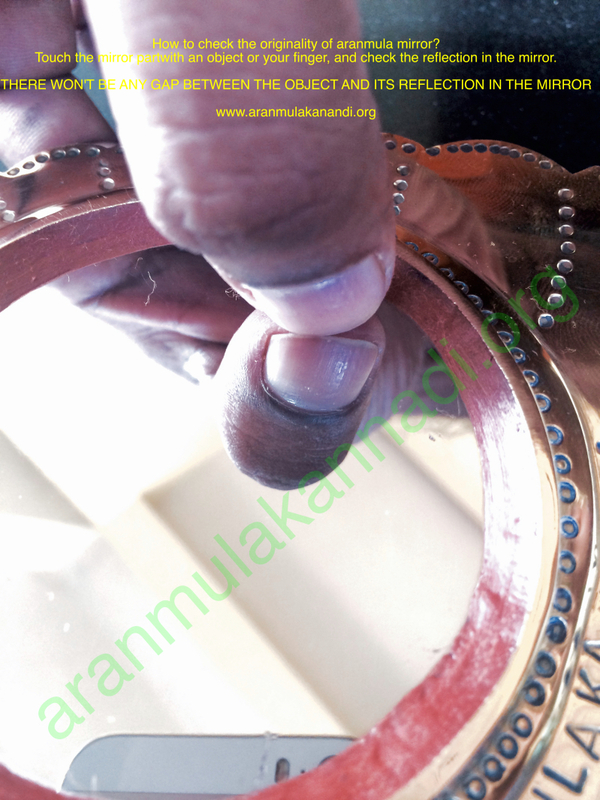 Many people are buying aranmula kannadi from various places, and used to call and ask us how to check the authenticity of the mirror. whether they are original aranmula kannadi? There are many ways to verify it, and the simplest among them is – you should keep your fingertip on the surface of the metal mirror, if you don’t see a gap between your fingertip and the reflective image that means you have an original in hand. In a regular mirror used all around us, the gap is quite evident. We still suggest not to buy aranmula kannadi from unconfirmed dealers or places. From this year onwards, every aranmula kannadi comes with a hologram sticker of the Vishwakarma Nirmaan society to confirm its authenticity. But you can’t see the hologram in the older mirrors you bought before 2016.